Gareth Lock is a retired Royal Air Force flight instructor now teaching Human Factors and Crew Resource Management in the Oil & Gas and medical sectors, taking the hard won lessons learned from areas such as aviation and medicine to improve safety in sport diving; crucially recognizing that sport diving is a recreational activity and should not need any more rules or regulations. 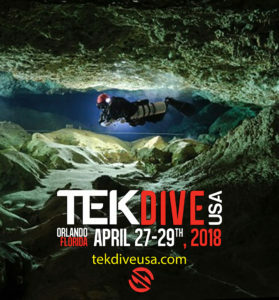 He is currently undertaking a part-time PhD examining the role of Human Factors in diving incidents and has presented at a number of international diving conferences on human error, safety culture and incident reporting. 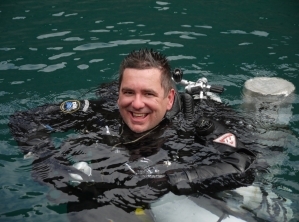 Gareth has been diving for the last 10 years, is an active advanced OC trimix diver and in 2014 qualified on the JJ-CCR. He runs a consultancy, Human in the System Consulting, which focusses on delivering research, training and coaching for Human Factors, Incident Reporting and Safety Management Systems; Cognitas Incident Research is a subsidiary of this company. 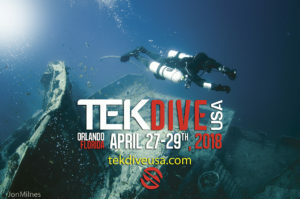 TEKDiveUSA.2016- Incompetent and Unaware: Potential solutions to the problems we face in the diving community in terms of human factors and human error.